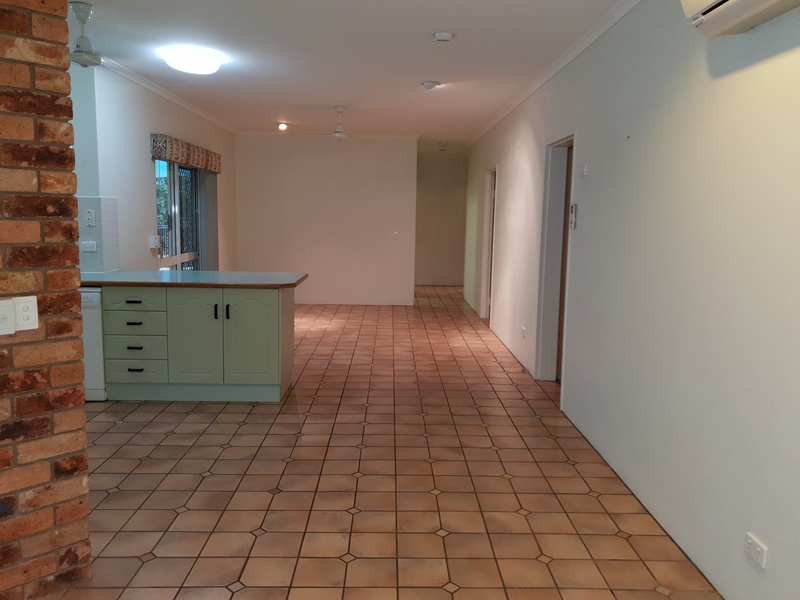 Solid Family block home with rendered walls both externally and internally. 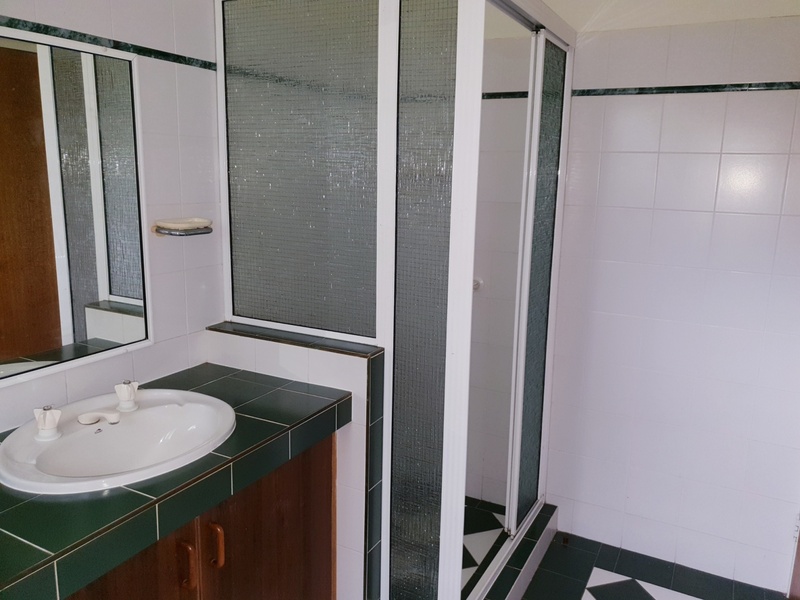 Fully air-conditioned and tiled throughout. 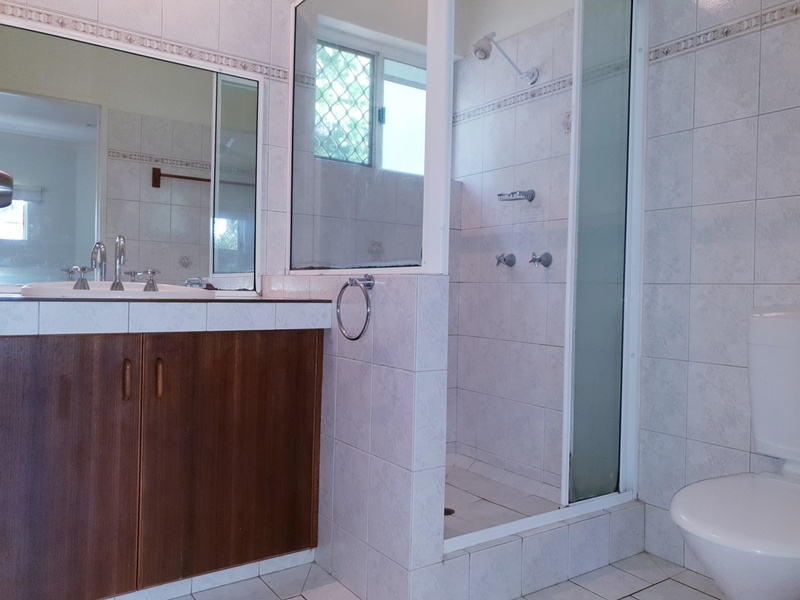 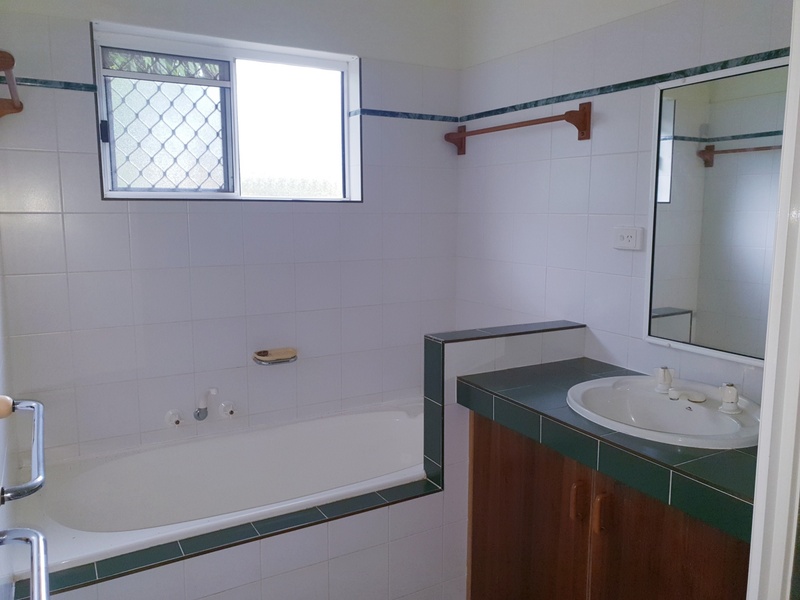 4 good sized bedrooms, 2 bathrooms (Main with ensuite and walk in robe), 2 separate living areas and spacious internal laundry. 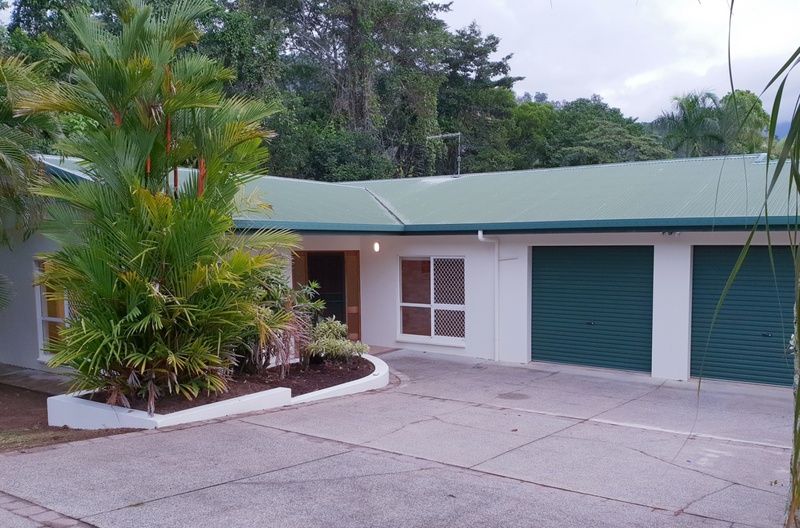 Double lockup remote garage with dual side access that leads to the 6x3m colourbond shed. 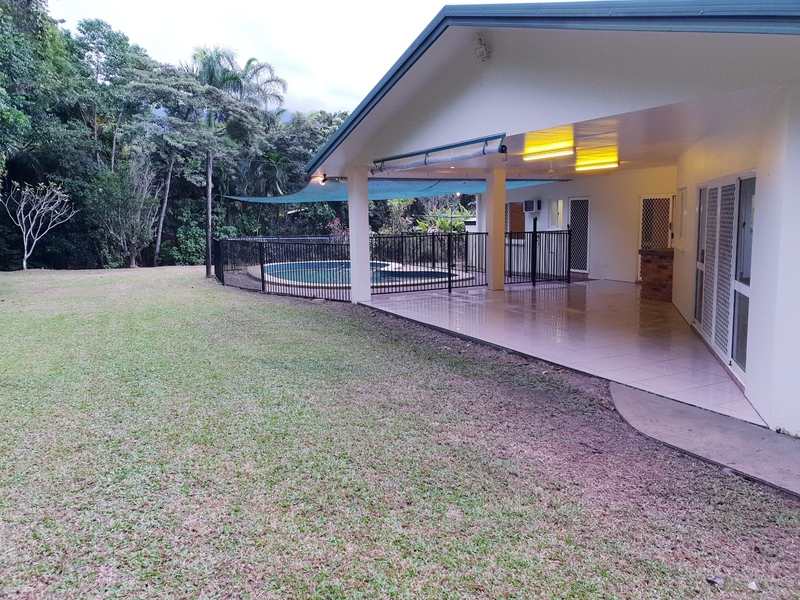 There are security screens on all doors and windows and has a centrally positioned large kitchen with stainless steel appliances overlooking the large back entertainment area and in ground salt water pool with built-in spa. 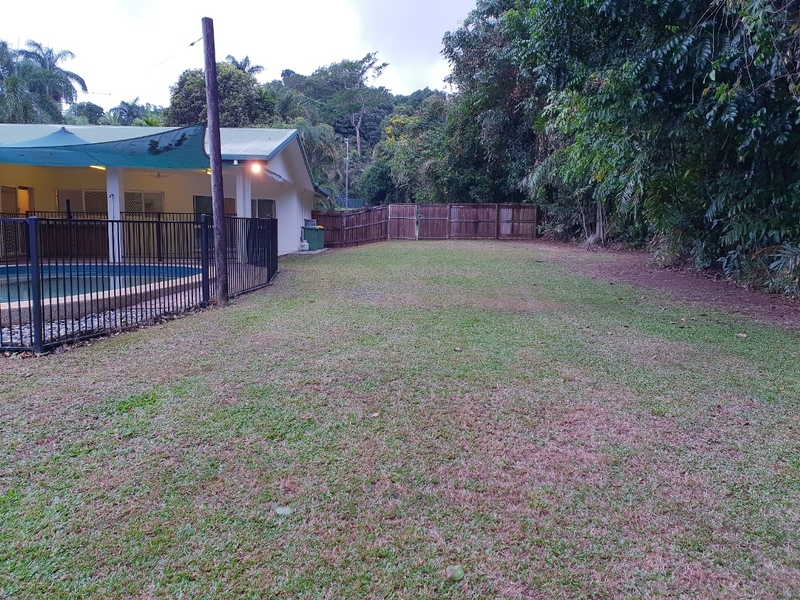 This property has a council easement to one side adjoining the actual land size of 810m2 and overlooks a rainforest backdrop. 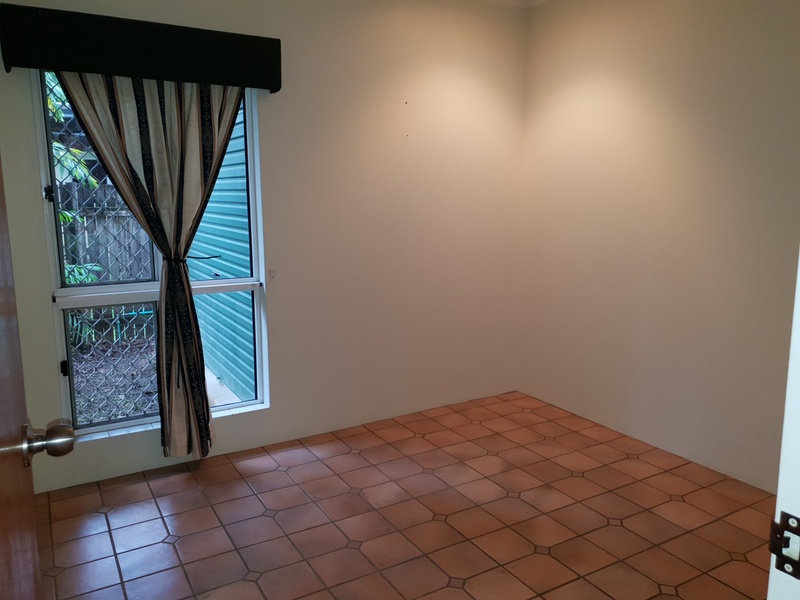 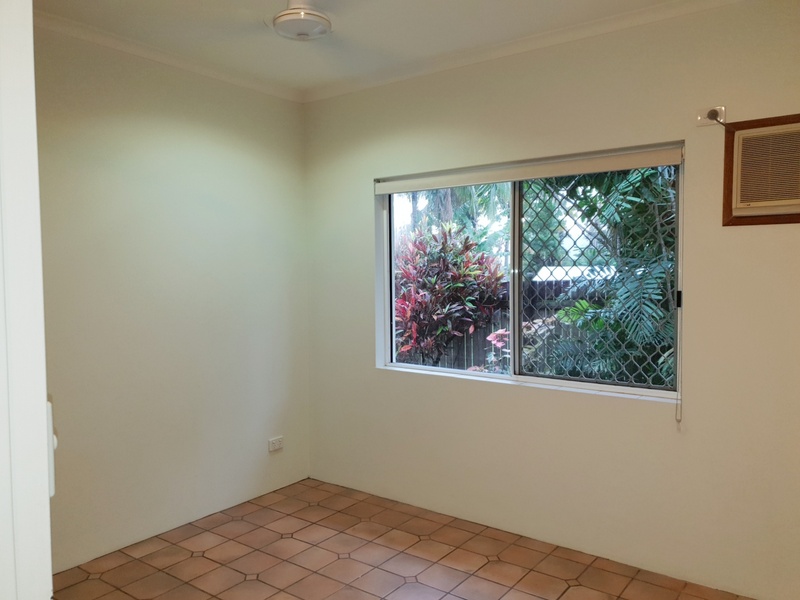 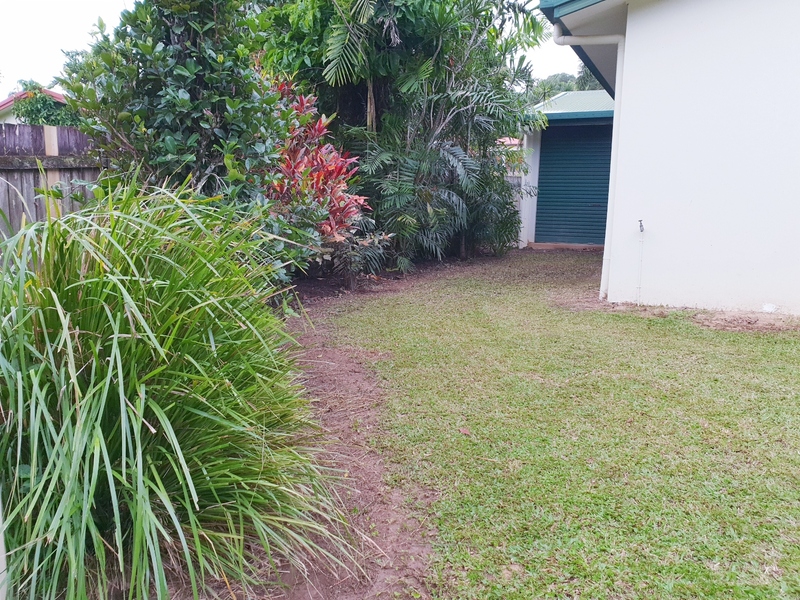 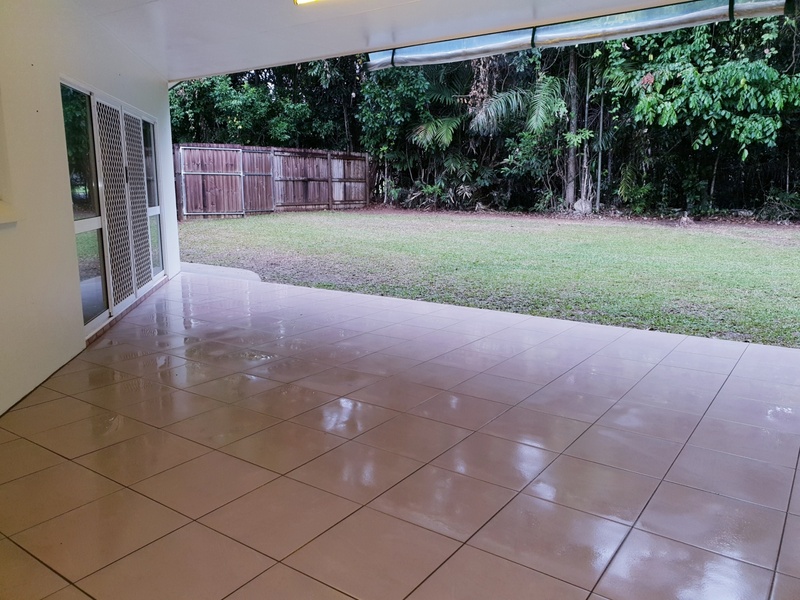 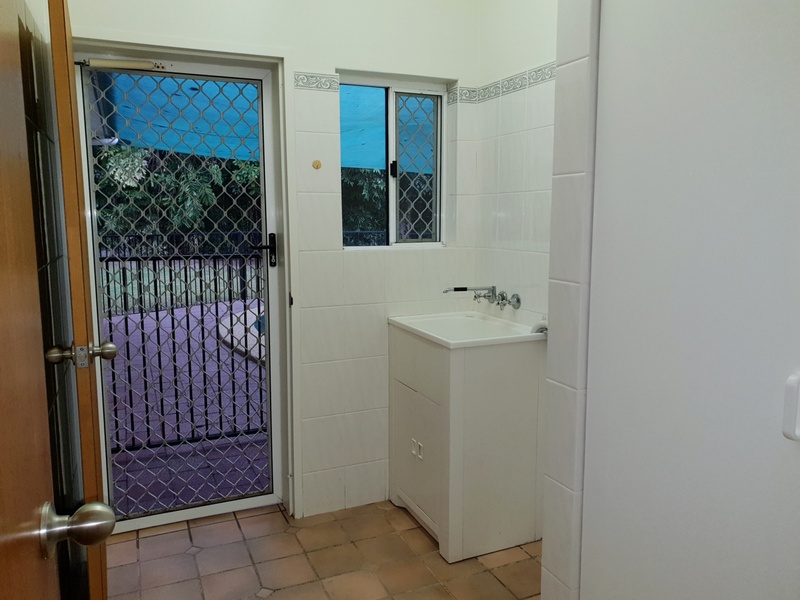 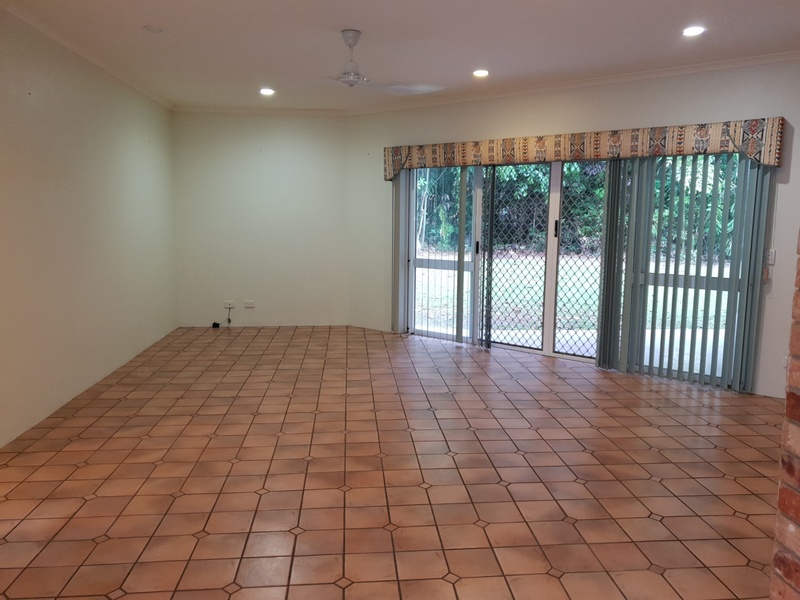 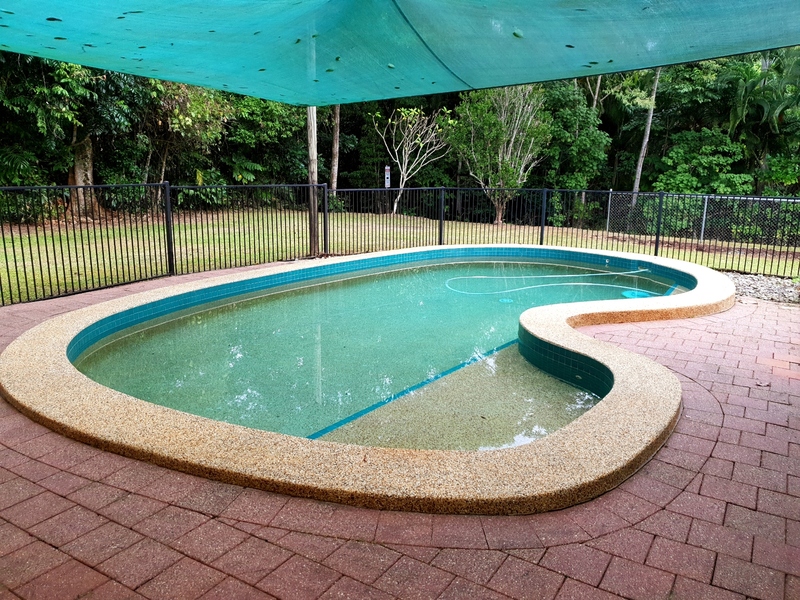 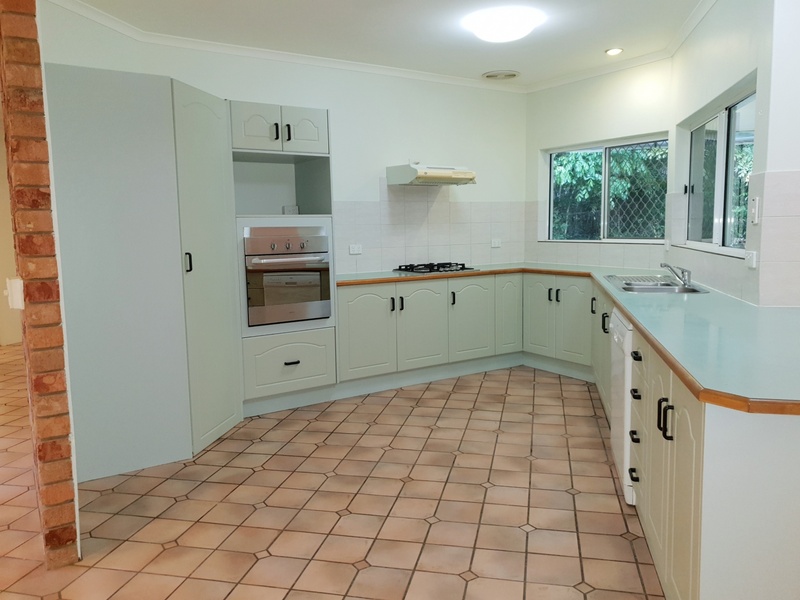 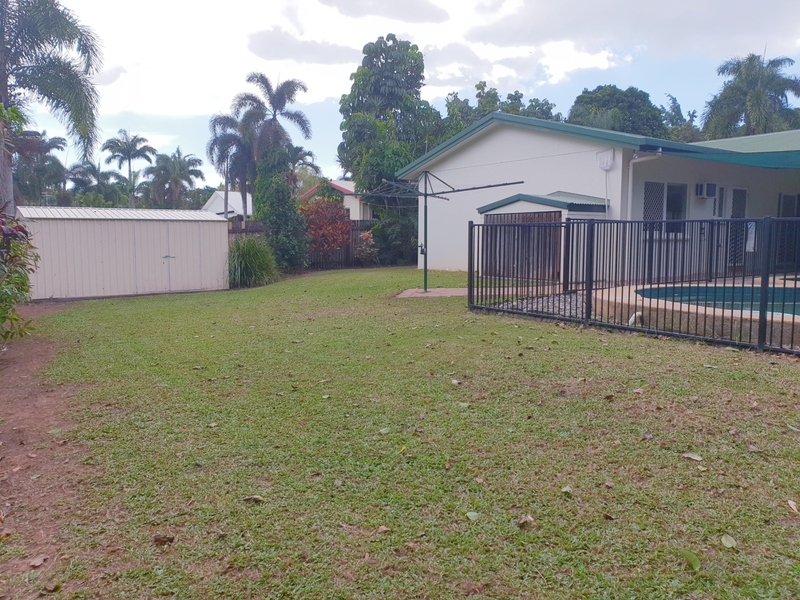 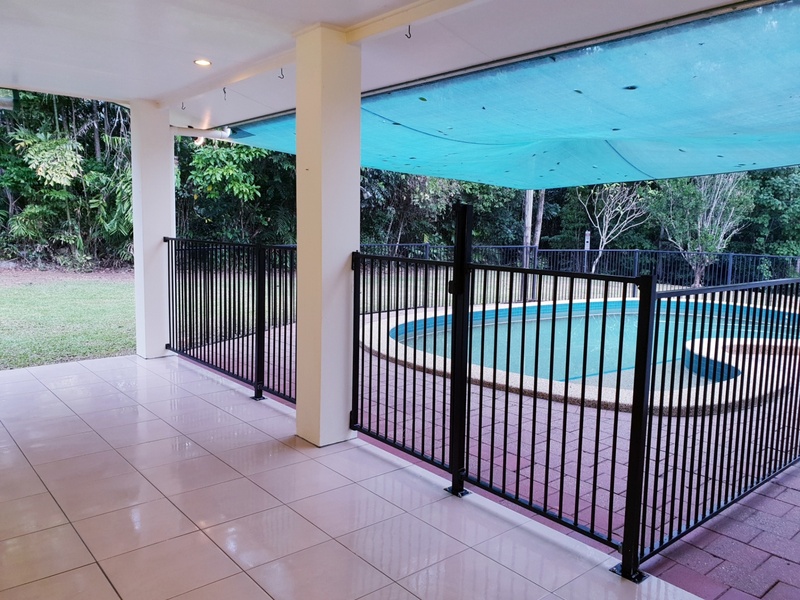 Located within close proximity to some of the most sort after primary and secondary schools in Cairns.